WR! Teacher Summit — Water Rocks! The Summit is a professional development workshop that offers training for teachers on a multitude of hands-on, interactive educational modules to help teach classroom lessons on water, soil, agriculture, environmental science, and more. Attendees will also have the opportunity to further their technical understanding of agricultural and environmental issues related to these topics through talks by several Iowa State University faculty and staff working in these fields. Teachers must attend the Summit in teams of 2-4 teachers from their school district. Interdisciplinary and cross-age teams are strongly encouraged! Upon completion of the Water Rocks! Summit, each participating school district will receive a complimentary Water Rocks! activity kit valued at $800. Participating teachers will also receive an honorarium to cover hotel and mileage expenses. Water Rocks! Summit participants will be eligible for 1 license renewal credit. Water Rocks! Teacher Summit applications for 2019 have closed and accepted school teams have been notified. Stay tuned for 2020! Who can attend the Summit? Our extensive classroom materials include lessons and activities for grades K-12. By attending in pairs, teachers will be able to recognize and apply their value across the district’s curriculum. The first day of each Summit will begin at 1:00pm and run through the evening. The second day of each Summit will go from 8:00am – 1:00pm, with an optional afternoon field tour to follow (required for those seeking the one license renewal credit). The Water Rocks! Teacher Summit will be held at the Iowa State University Alumni Center in Ames (429 Alumni Lane, Ames, IA 50011), between CY Stephens Auditorium and Jack Trice Stadium. The Water Rocks! Summit is FREE for accepted school teams. All meals during the Summit are included. Each school will receive a complimentary Water Rocks! activity kit valued at $800. Pending full participation and completion of all Water Rocks! Summit assignments, participating school teams will also receive an honorarium to cover hotel and mileage expenses. Our goal is for teachers to have zero out-of-pocket expenses to participate! The only out-of-pocket expense is for one license renewal credit if desired (see below for additional information). Why does your team want to attend the Water Rocks! Summit? How does your team envision using the Summit and materials to advance your district's learning standards and benchmarks? Have you identified 2-4 high school students committed to serving as peer educators? School teams are invited to include 2-4 high school students in their group that attends the Water Rocks! Summit. High school students will be trained on the same materials and activities as the participating teachers, preparing them to go into elementary and/or middle school classrooms as peer educators. The application deadline for the Water Rocks! Teacher Summit was Friday, March 15, 2019 at 5:00pm. Applications are now closed. Missed your chance this year? Stay tuned for 2020! When will I find out if I’m accepted? Accepted teams have been notified. What topics will be covered at the Summit? The Water Rocks! Summit will cover a wide variety of topics for Grades K-12 educators, including the water cycle, watersheds, connectedness of agriculture and the environment in Iowa, agricultural management practices, wetlands, biodiversity, soil health, urban stormwater issues, and more. Music, videos, technology, and hands-on activities will be woven throughout! See the 2018 WR! Summit Agenda for a sampling of the topics that will be covered. What is required of participating teachers? School teams that are accepted for the 2019 Summit will be required to participate in self-assessments at the beginning and end of Summit. Participating teachers will be required to prepare lesson plans that utilize Water Rocks! activities, an assessment plan, and a one page reflection. Are grad credits and/or continuing education credits being offered? The 2019 Water Rocks! Teacher Summit will be eligible for one (1) license renewal credit. License renewal credit costs ($35) are the responsibility of participating teachers. License renewal registration information will be provided to all schools accepted into the Summit, and each teacher can decide whether or not to seek the credit. For those teachers seeking credit, the Summit will be extended through the afternoon of Day 2 to include a field tour (optional for those not seeking credit). I am a pre-service teacher. Can I apply for the Summit? At this time, the Summit is not open to pre-service teachers. However, we do have the option of presenting a Water Rocks! workshop specifically for pre-service teachers on your college campus. Contact us for more information! I am not a formal classroom educator—I am a naturalist, I work with ISU Extension and Outreach, etc. Can I apply for the Summit? Yes, applications will be considered from non-formal classroom educators. Please complete the Application for 2019 Water Rocks! Teacher Summit and explain how plan to integrate these materials into your youth education/outreach programming. What should I bring to the Summit? • Bring your enthusiasm, your curiosity, and your questions about all things water! • If you have a laptop computer or tablet device available, please bring that along. High speed wireless internet will be provided. • Dress comfortably and casually for indoor and outdoor activities. • Be sure that you have a good amount of space available in your vehicle, as your complimentary Water Rocks! activity kit will include multiple plastic totes, banners, posters, etc. I have some high school students that would like to go into elementary classrooms and teach science activities. Can they attend the Summit? Yes! High school students (rising freshman through rising seniors) can attend the summit as part of a participating school team. They will be trained on the same materials and activities as the participating teachers, which will prepare them to go into elementary and/or middle school classrooms as peer educators. We encourage participating teachers to bring 2-4 interested high school students with them. If you have a group of high school students who will commit to be peer educators that would like to attend, please make note of this on your application. I have other questions about the Summit. Who can I talk to? Contact Ann Staudt, Water Rocks! Director, via email (astaudt@iastate.edu) or phone (515.294.4878). This cooperative project has been funded in part through the Section 319 of the Clean Water Act. Partners of Water Rocks! 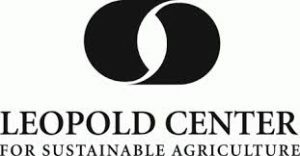 include Iowa Department of Natural Resources (United States Environmental Protection Agency), Leopold Center for Sustainable Agriculture, Iowa Water Center, Iowa Learning Farms, Iowa State University Extension and Outreach, and personal gifts of support. Additional Donors | Give to Water Rocks!